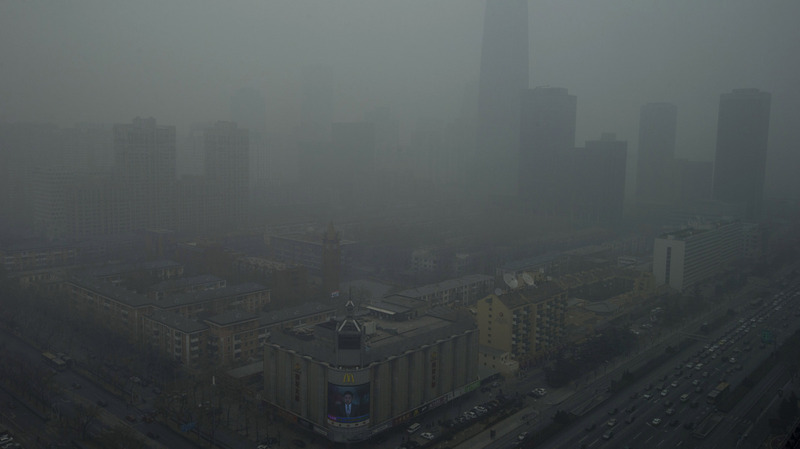 China's Air Pollution: Is The Government Willing To Act? : Parallels There is some political willingness, but because China is highly decentralized politically, the Communist Party has only limited influence over provincial governments and how they regulate their dirty factories. The powerful state-owned oil companies have also resisted pressure to produce cleaner-burning fuel. 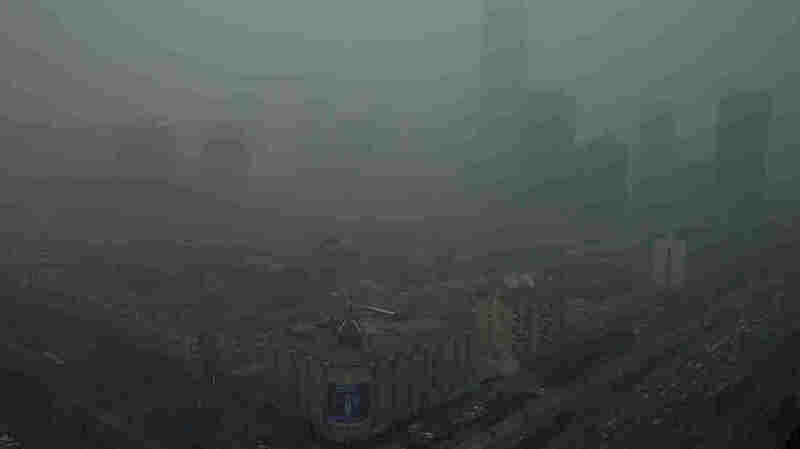 Skyscrapers are obscured by heavy haze in Beijing on Jan. 13. Air pollution remains a serious — sometimes overwhelming — problem, but researchers say environmental technology is available to solve it. "This air pollution problem is on the scale of eastern China," she said. "It's definitely not just a Beijing problem. It's a national problem and it needs a national solution." Earlier this week, state-run China Daily called most of China's major cities "barely suitable for living." Such unusually blunt language from the Chinese government's English-language mouthpiece is a sign of just how bad conditions have become. 'As Long As There Is Political Willingness ... "
Tong Zhu, a top air pollution specialist who teaches at both Princeton and Beijing universities, says the solutions to the problem are no secret and ultimately depend on political leadership. "There is technology available," Zhu told me earlier this year over dinner at the Princeton-Fung Global Forum in Shanghai. "I think as long as there is political willingness, the environmental situation can be drastically improved." Environmental regulation can make a difference. In Shanghai, the government limits car ownership by auctioning off license plates each year at prices exceeding $14,000 apiece. 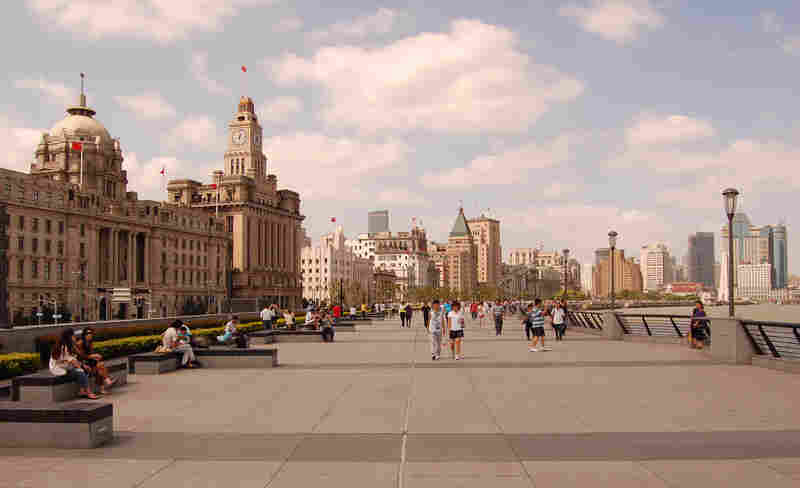 Shanghai also benefits from its location on the water and winds coming off the East China Sea. This may be the best news I've heard about air pollution since I first lived in China 16 years ago. The nation's air problem is profoundly depressing. There were times, even a dozen years back, when I would land at the airport in Beijing, only able to make out the runway 50 feet before we touched down. Inevitably, I would wonder: Why am I coming back? As air quality deteriorated, with the exception of the efforts led in part by Zhu during the 2008 Beijing Olympics, I joined most Chinese in viewing air pollution as an insoluble problem, an inevitable result of the nation's relentless economic growth. Although he knows it sounds incredible, Zhu says Beijing has actually done a lot to control pollution over the years. In the 1990s, officials pushed industry out of the city and replaced most coal-burning heating with natural gas. "The newest fuel emission standards are even higher than some European cities," Zhu says. The problem is that air doesn't respect borders. Neighboring Hebei province, which rings most of Beijing, is much poorer and less developed. It has lower fuel quality standards and has emphasized the sort of dirty factories Beijing exiled. As a result, when the winds are right, pollution from Hebei's factories, cars and coal-fired power plants can blow into Beijing and help choke the capital. Because the Communist Party is an authoritarian regime, you might expect that it could just force Hebei to change its economic model and clean up its act. In reality, China is highly decentralized politically, and provinces often ignore policies from the center. "We have the impression that the central government controls everything," says Zhu, "but the regional and local governments have a lot of say in how to develop their own economies." Industrial provinces aren't the only vested interests standing in the way of solving China's air problem. The country's powerful state-owned oil companies have resisted pressure to produce cleaner-burning fuel for years. "Improving the fuel quality in China is very tricky politically," says Vance Wagner, a senior researcher at the International Council on Clean Transportation, an independent research organization. Most of China still uses high-sulfur fuel. That fuel damages catalytic converters, which reduce tailpipe emissions. To cut sulfur content, oil companies here must buy at least $800 million worth of environmental technology, according to Chinese state media. When the government needed advice on fuel standards, it turned to experts from China's major state-owned oil companies, Sinopec and PetroChina. "You can imagine that Sinopec and PetroChina have a pretty clear conflict of interest in terms of how aggressively they want to push a new stringent fuel quality standard," says Wagner, who spent more than six years working in China on air pollution. This is how China's authoritarian capitalism — sometimes praised for its efficiency — can end up in political gridlock. The government, which sets fuel prices, is cautious about raising them and worries about a popular backlash. The oil companies, though highly profitable, still want to keep expenses as low as they can. Wagner says China's state-owned oil companies serve two masters: the government and shareholders. "They should feel the responsibility, as the entire Chinese government does, to improve people's livelihoods and reduce air pollution," Wagner says. "But they also serve the market, and these are publicly traded companies, and so their responsibility is to produce fuel at the cheapest cost possible." But January's dreadful air pollution led to a breakthrough of sorts. That's the good news. The bad news: The deadline for implementing that new standard is more than 4 1/2 years away, and it isn't clear who will pay for all that clean technology. In the meantime, vehicle emissions will continue to grow. This year, China's annual auto sales could — for the first time — pass the 20 million mark.